Berkshire Hathaway Specialty Insurance (BHSI) has an exceptional opportunity for a talented Medical Stop Loss Actuary to join our Global Actuarial Team. The main responsibility of this position is to ensure profitability of our Medical Stop Loss through analysis of pricing and underwriting best practices. This position will be located in Irvine, CA or Boston, MA with the expectation of travel between the two locations. We are looking for an individual who has both an ability to excel and an excellence of character. Our culture is innovative and fast paced and this position will be the perfect fit for an individual who is intellectually curious, self-motivated and a collaborative team member. • Deep knowledge of Medical Stop Loss business. 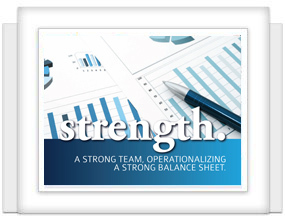 • Ability to drive the understanding of portfolio management and profitability throughout organization. Recommend and implement actions as necessary. • Produce impact analysis regarding benefit and provider reimbursement changes, cost containment programs, etc. on medical cost and trends. • Analyze external and internal data sources to develop proprietary pricing factors and models. • Develop and/or maintain quantitative, diagnostic tools to be used by underwriters in pricing individual risks and managing a portfolio of business. • Research new pricing techniques and enhance existing methods. • Have the ability to work with IT to ensure proper system and data requirements are achieved. • Assess financial impact of compliance changes and other factors. • Provide support for rate changes, underwriting adjustments, and marketing approaches in various sub-markets. • Review outstanding claim liabilities to assist in projecting medical costs and work closely with the Chief Reserving Actuary to book appropriate reserves. • Analyze results based on past and current trends, projections and rate competitiveness.